When you move to a higher altitude, a lot about your climate changes. This change affects everything from your ability to breathe to how your food cooks. When you visit an area of higher elevation, the oxygen levels are lower, which has an adverse effect on your body. In time and with proper preparation, you will acclimate, but at the beginning, nearly everyone suffers from what&apos;s commonly referred to as "altitude sickness." For most, these symptoms are minor, and you will acclimate within a few weeks. You can fight the signs by keeping up your water intake and getting plenty of rest. Your body is moving red blood cells and oxygen around to try and account for the fact that you&apos;re getting less with each breath. Don&apos;t worry; you&apos;re still getting plenty of oxygen to survive, your body is just used to more. If you experience any of these altitude symptoms to a severe degree, see a doctor immediately, otherwise, your body will soon get used to the new levels soon, and you&apos;ll be just fine. Higher altitudes have lower air pressure, so be sure to check all your tires as your altitude increases. It can also change the compression in your fluids, so double check all your fluid levels more often in your vehicle until you&apos;re sure of how quickly you use them in this new climate. Water boils differently at higher altitudes, so that means that basically everything cooks differently. From microwaving to sautéing, you&apos;re going to have some fun with trial and error to see what works best at your new height. 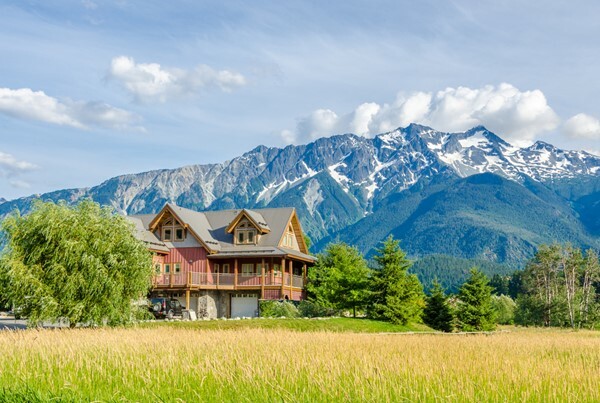 If you’re worried about the changes when moving to a higher altitude, ask your real estate professional for specific tips about the area where you’re moving. They can help you be the most prepared.